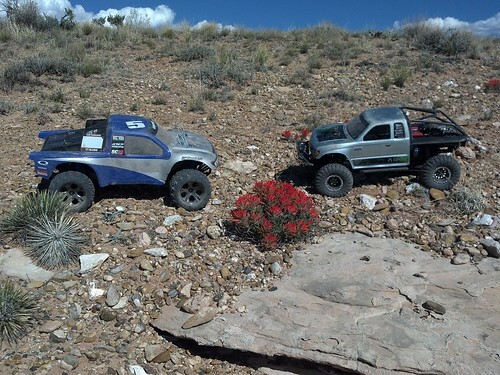 Axial Racing - The AXIAL Geocache #2-2012 Cache and Carry – Found! The AXIAL Geocache #2-2012 Cache and Carry – Found! 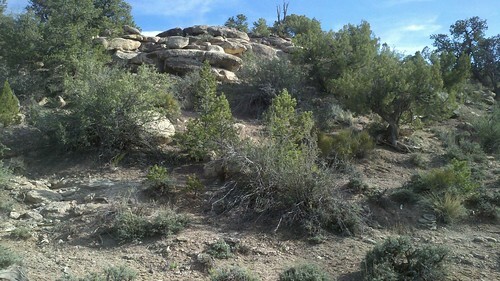 Congratulations to Denial W. of Cahone, CO for tracking down this Axial Geocache #2-2012. 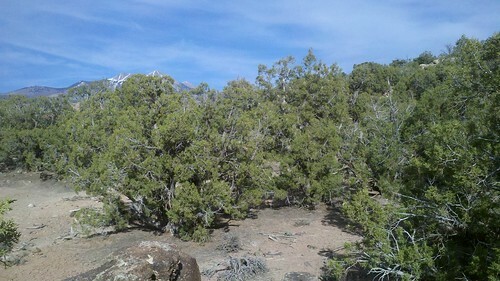 Daniel found the Axial Geocache #2-2012 with his brother, Brian on April 22, 2012 at 12:46PM MST. This was about a 2 hour drive for Daniel and here is what he had to share about his adventure to AreaBFE to locate the cache. “I managed to locate your “Axial Cache and Carry #2″ this afternoon. I was NOT expecting to find an XR10 kit! You guys (and gals) are AWESOME! The extra goodies in the box are icing on an already fantastic prize. 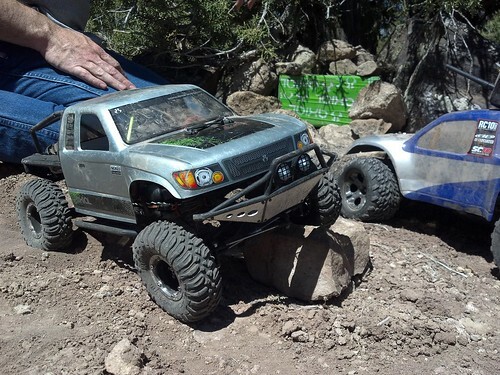 Today, after seeing what my SCX10 will do, I have just got my brother hooked on Axial trucks (he likes to go fast but still wants to be able to crawl… (I told him to get a Wraith), so not only did you guys make a life long customer very happy, you got another customer in the process. 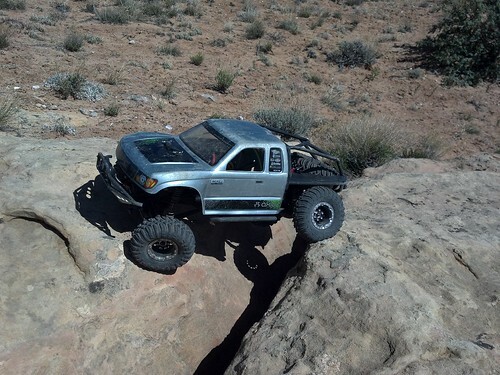 My Rig: Axial SCX10 Honcho RTR. Mods; CAC One9 12 hole beadlock rims, Novak Goat 3s 21.5T Brushless system, and a few other minor tweaks here and there, but those are the big things I’ve changed. Daniel really scored this time… not only did he get some of the coolest Axial swag we offer but he got a complete Axial XR10… well almost complete. Daniel, we are sending you the purposely missing parts bag so you can fully assemble that XR10. Here is the second of 2012!!!! Remember it’s about the adventure you make to get there and get the goods that really makes this program fun. We like to hear from you about your experience. You will not be disappointed of this location when you get there. 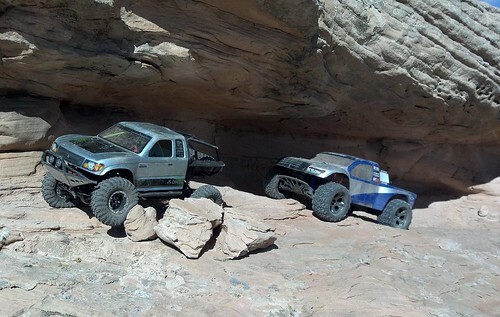 Grab your rigs and head out to do some RC Crawling. This is a cache and carry find, once you find it, it’s yours to take with you. Tread lightly and leave no trace. Do you ever think you will do an axial/GeoCache near the southwest Chicago burbs? Would be cool, just wondering?! We try to spread them out the best we can. You never know where they will appear. AWESOME stuff and thanks for the great photos too! I also live in the south suburbs of Chicago. Even though we don’t have the desert and all tje off roads parks we still have a lot of really fun places to drive our trucks. I would also love to see some sort of contest like this where we live.